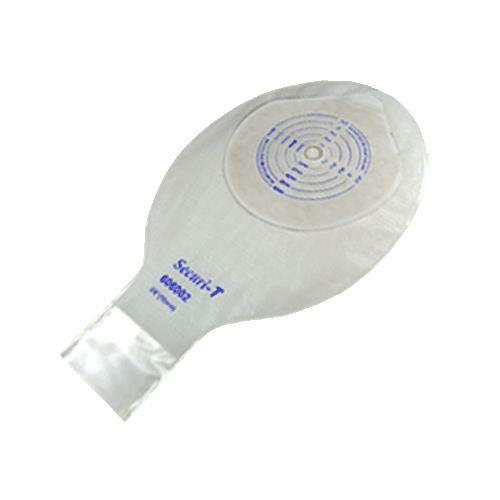 Genairex Securi-T One-Piece Standard Wear Cut-to-Fit Transparent 9 Inches Drainable Pouch is designed to be discreet, reliable and comfortable. The soft, cloth-like comfort panel material is skin-friendly, flexible and quiet so the pouching system moves with the body and rests softly against the skin. It is made with an environmentally safe film that is quiet, light and sturdy.